Bittersweet news coming out of the Sony camp today as Masters of the Universe finally locks in a release date (December 18th, 2019), though McG is no longer attached at the helm. That’s according to Entertainment Weekly, after the outlet posted a follow-up report to Sony’s announcement claiming that McG, best known for Terminator: Salvation and Charlie’s Angels, won’t direct the fantastical adaptation after all, with the studio now in the process of meeting with potential replacements. One thing’s for sure: David S. Goyer (Blade, Batman Begins, Man of Steel) is still penning the script for Sony’s Masters of the Universe reboot, which will seemingly pay great respect to the impassioned fanbase when it roars into theaters in 2019. 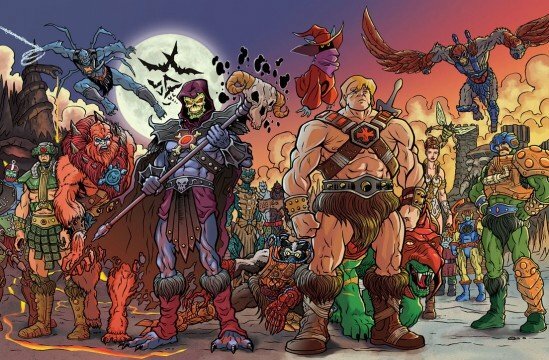 It’s still early days, then, but EW goes on to reveal that a handful of big-name actors are currently testing for He-Man, Skeletor and the rest of the gang. No further details were disclosed at this time, and though the departure of McG incited fears that Masters of the Universe had taken one step forward and two steps back, news that Sony is actively pursuing talent for its long-gestating reboot is surely a positive sign of things to come. Elsewhere on the studio’s release slate, there’s also an update for Angry Birds 2 and the as-yet-untitled Spider-Man animated film, which will bow in theaters on September 20th, 2019 and December 14th, 2018, respectively. By the power of Grayskull, and against all odds, Sony’s Masters of the Universe is beginning to coalesce. It’ll hit theaters on December 18th, 2019, and now that McG has exited the project altogether, the search for a new director will no doubt begin to intensify over the coming weeks. Watch this space for more.